Lodgings that feel like home are waiting for you no matter where you travel to. 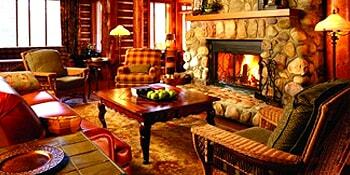 Bed and Breakfasts can turn a vacation into an unforgettable holiday experience. 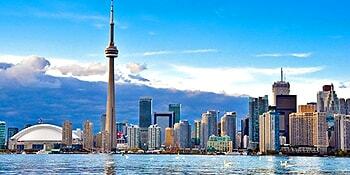 Canadian cities epitomize the perfect travel destinations. Activities abound in every area of the country. 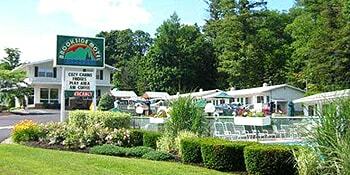 Motels are a great low cost alternative to hotels when travelling. 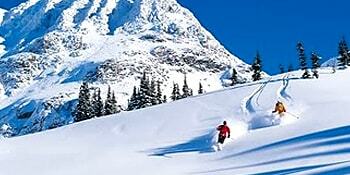 Canada is the ideal destination for a ski vacation. During the winter season, no activities are more popular to Canadians and tourists than skiing and snowboarding. While your at it, why not book for more skiing trips for you and your family and accommodate yourselves to other ski chalets. 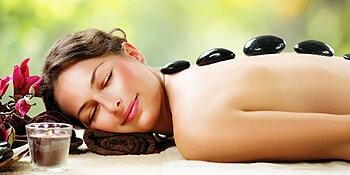 Spas in Canada will help you to relax and unwind. These spas create harmony in body, mind, and spirit, anywhere you travel in this beautiful country. Each year, Canada welcomes millions of visitors from all over the world. During your stay, enjoy our busy cities, rugged wilderness, parks and conservation areas. Learn about Canadian arts, heritage and culture by visiting our historical sites, museums and galleries. You might even want to attend one of our many special events and festivals. With four distinct seasons, climate plays an important role in Canadian culture and traditions. Be sure to consider the weather conditions when planning a vacation to Canada. Citizens of certain countries require a temporary resident visa for entry into Canada. Before finalizing your plans, be sure to check the requirements that may apply to you. Visitors may also qualify for a special tax refund on items purchased while in Canada. If you need a break from what you see and experience all day, maybe what you need is a trip to Canada. It is guaranteed to show you a view of a different landscape that will not only give you the holiday you need, but also will take your breath away and make you forget your worries. You may have heard that Canada is one of the largest countries in the world. Well, this also means the country has various landscapes. For example, the province of British Columbia or BC occupies the west coast of Canada facing the Pacific Ocean. The province enjoys a rainforest climate with mountains covering about three-quarters of it. In fact, BC holds the bulk of the Canadian Rockies, the country's segment of the Rocky Mountains which extends to the United States. Also, more than half of BC is covered in forests and has a growing eco-tourism industry. On the other hand, Canada's interior provinces, including Alberta, Saskatchewan, Manitoba, are filled with agricultural plains and prairies. In fact, the provinces are considered some of the largest grain-producing regions worldwide. Parts of Alberta are actually desert-like that contains numerous dinosaur fossils, along with large deposits of petroleum. Alberta houses the top petroleum producers in the country. To many people traveling is simply the act of getting from point A to point B, and is used more often than not as a suffix for the word “business.” Around the holidays there is virtually non-stop discussion of “holiday travel,” and even when travel is considered apart from a business trip or special occasion, there is often far too much emphasis put on the destination. As someone who creates artistic travel photography, even trips to the most routine destinations can be turned into a defining experience; the secret? Enjoy the journey. “Vacation destinations” have come to dominate the travel plans of so many, and sadly the magic of the journey itself is often lost. Read more. Agriculture is also king in the southern part of the provinces of Ontario and Quebec comprises the region surrounding the Great Lakes. This region has a rich land very suitable for agriculture, a factor in making Montreal in Quebec and Toronto in Ontario two of the largest and richest cities in the country. This is also an ideal region to grow the sugar maple tree, whose leaf adorns Canada's flag. Parts of Ontario and Quebec are included in the Canadian Shield, a region of rocky terrain that surrounds the great Hudson Bay. This humongous body of seawater also goes through the provinces of Alberta, Saskatchewan, and Manitoba. The region is rich with minerals, such as silver, gold and copper, which also made it the prime location for the country's oldest mining towns. The country's coast facing the Atlantic Ocean is made up of the provinces of Newfoundland and Labrador, Prince Edward Island, Nova Scotia, and New Brunswick. This region saw the first batch of Europeans to travel to North America a thousand years ago. The provinces here also enjoy rich land suitable for agriculture, although tourists should be aware that it can get very windy and cold there. This is also normal weather in the northern part of Canada, made up of the territories of Yukon, Northwest, and Nunavut. Also called the Arctic Lowlands, climate in this region can be very chilly all year-round although summertime from May to September can be likened to a cool autumn or spring in some countries. Summer is also the time when the region experiences almost continuous daylight, so expect a constant night during wintertime. A vacation may be what you need to give you a second wind at your job. We at Canada Travel Guide know that the country’s different regions hold unique landscapes that will be the highlight of your vacation. We also have up-to-date information on various accommodations. 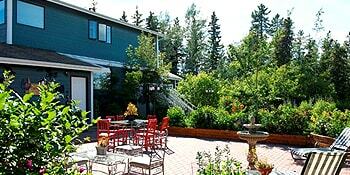 We can plan tours and various activities for you to help you see the beauty that is Canada. This travel and tourism guide will help you plan your travel in Canada. Select a region and look for tours, activities, or adventures in Canada. Canadian Travel Guide features a detailed description, reservation information, and prices to help you plan your travel to Canada. Canada Travel Guide features local information on Canada travel. Canada Travel Guide is a complete travel site that lists locations throughout Canada, motels, bed and breakfasts, and lodgings that travelers would be interested when visiting Canada.